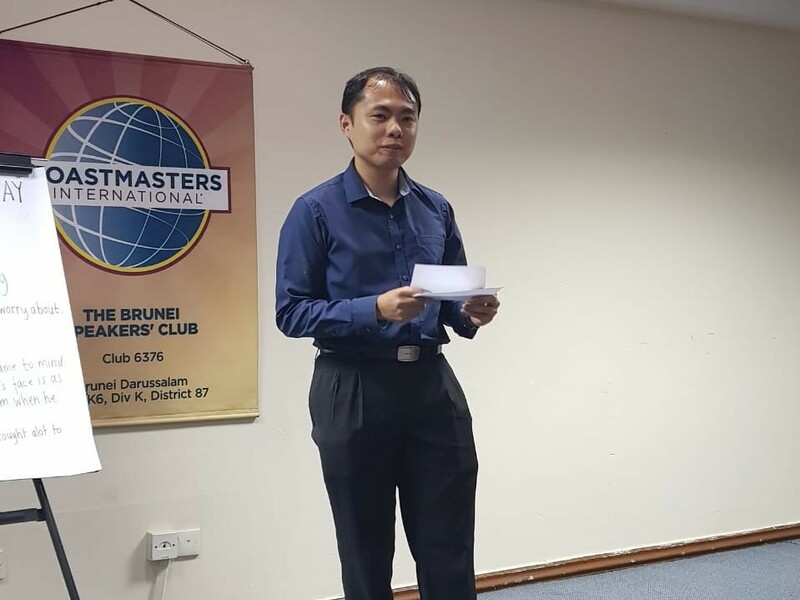 TM David Lim opened the meeting with a bang, introducing 3 guests to the ins and outs of a TM meeting. When he passed the floor to TME TM Jidun Dollah, the room was raring to go! Jidun was tenacious with his jokes, keeping the audience firmly focused on the meeting. (Although, GE Syatrah Roslan, SR2, did point out later that he might have gone a bit overboard abusing the Word of the Day – RUMINATE.) He introduced the roleplayers for the evening and then the meeting took off! 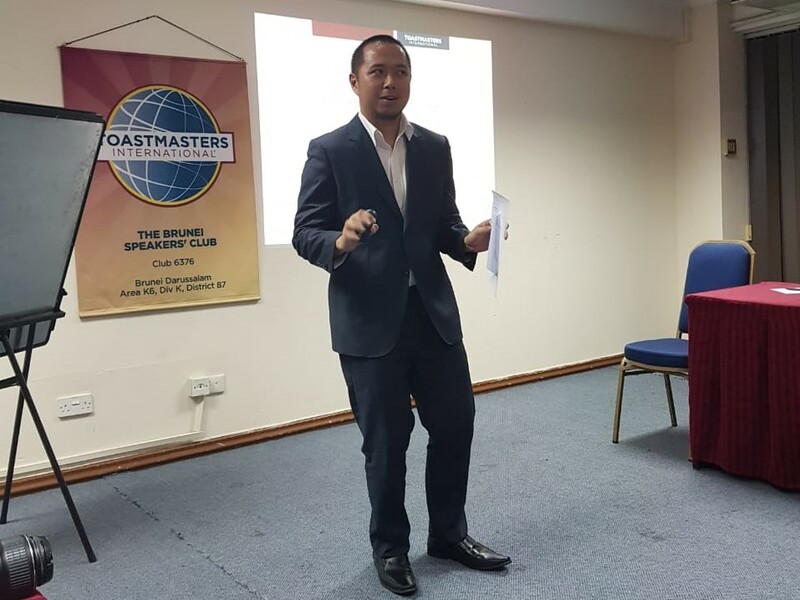 We had the honour of hearing an Icebreaker from our newest member, TM Aditia Salalu – “My Journey towards Personal Growth”. He announced (timidly) that he’s an introvert and that he’s always had trouble communicating with people. But meeting other introverts who are confident inspired him to overcome his difficulties in speaking. So he’s begun his journey of self-development by taking classes on Mondays, BSC on Tuesdays, Gym on Wednesdays and resting on Thursdays. Next was Rahmat Tarsat, CC who took the stage! Her speech was the Pathways project Understanding Your Communication Style. 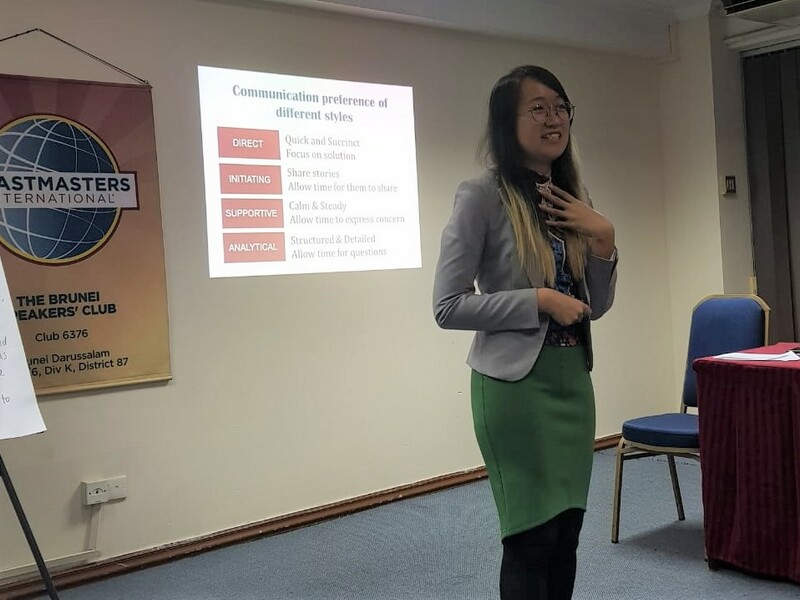 She titled her speech “How to Talk (and make others like you)” which was very apt because she confided in us that she finds it hard to talk to selfish people. And no wonder! As a Supportive Communicator, she’s more geared towards being compassionate and understanding, and empathy is important to her. And between Direct, Initiating, Supportive and Analytical Communicators, that’s a whole lot of different types of people to talk to! The TT Champion was Carlo and it was well-deserved because he spun a wonderful story about the programs the young and old watch on his screen, but warns that being addicted to him might ruin your life. On the other hand, we had joint winners for Best Evaluators – TM Haryati Abd Gafur and Ruey Chong Narcis, ACS, ALS! They were both evaluators for the prepared speeches and gave useful feedback to Adi and Rahmat, while being encouraging. Small wonder they won! 1) UBD TM is having a Town Hall meeting next Monday instead of a regular TM meeting. For those of you interested to see what that’s about, sit in and have a listen! 2) Our members, Rahmat and Ling Ling, were involved in facilitating an English workshop for 30 11-year olds at BIBD ALAF. Rahmat recounts how they made embarassing mistakes of encouraging them to be professional as they were not used to speaking to children. 3) BSC will be having a potluck on the 2nd of October to celebrate making it through the first quarter of the TM Calendar! We’ll be coming in early at 6.00PM to celebrate. Do bring a guest to show them what you’ve been doing every Tuesday night! 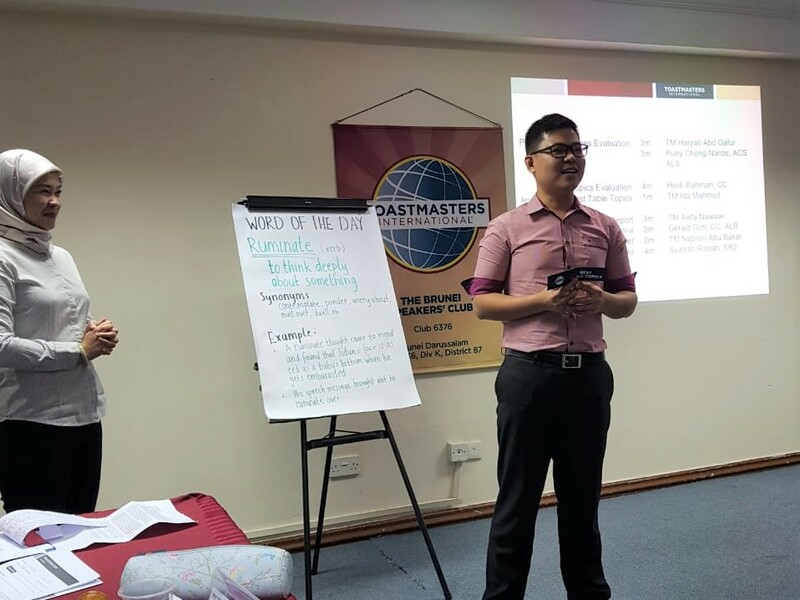 Before President Aziman banged the Gavel, he left a parting speech about us doing things in moderation and encouraged everyone to take up roles with next week’s TME, Ida!